When I wrote this, I was thinking about: Humour, Interface, Usability, Web Design. 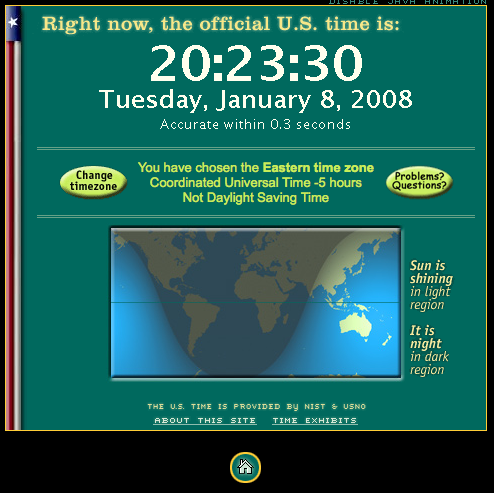 I was searching for the current time in the US earlier today and came across the Official U.S. Time Clock (screenshot below). I couldn’t help but chuckle at the fact that the design for the official US Clock Website is so clearly stuck in the 1990s. What use is a clock that’s behind the times? I do really like the daylight tracker though.